These two words “I know” make up the most destructive statement that will halt your self improvement, diminish your personal reputation, and foster resentment in other people. Growing up it is easy to fall down a slippery slope of “I knows”. We all want to feel smart and valued and sometimes we do this by acting like a know it all. Do you remember that one person from middle school – that one kid who just thought they knew everyone? Im going to use some personal experiences from my life to explain to you why the “I know it” mentality is so destructive. 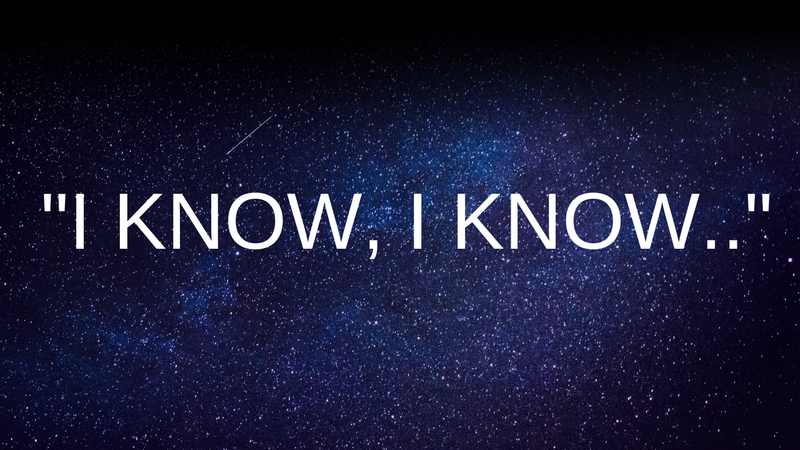 Firstly – You can always know more than you know now. When I was in grade 12 I had a world issues teacher that inspired me to do something amazing with my life. Before I graduated high school he taught me many important lessons, things that would stick with me for the rest of my life! But then something magical happened! He said “No you don’t understand! It’s not even about what you do, it’s about two things in specific – where you spend your time and where you spend your money.” I have never ever heard that before and Im so grateful that my stupid, arrogant “I know” statement did not stop my teacher from sharing his wisdom with me. I now use this quote in all my presentations because I find it extremely valuable. This lesson taught me that I can always know more than I know now. Secondly – The “I know” mentality will destroy your personal reputation and foster resentment in other people. Let’s go back to middle school again for a second. Have you ever stopped to think why nobody like’s a know it all? It is very simple – you cannot give them advice, feedback, new information, or try to tell them something new! Have you ever given advice to somebody, and then they do the exact opposite of what you said? On the surface they could mean no harm, but subconsciously they are devaluing your opinion. Now you’ve gone out of your way writing essays of advice to help out a friend and then they stop and respond with 4 words – “I already knew that!” Your friend just lost your respect because they shut you down. All of the sudden you fell upset. You wasted all this time, your friend doesn’t value your opinions. The moral of this lesson is to always value and appreciate the advice of others. Whether or not you plan on using it, thank them for their opinions and acknowledge their help. Lastly – By being closed minded you are stopping yourself from learning. If you stay open minded and value everyones personal experiences and knowledge you will learn a tonne! Socrates, a famous Greek philosopher has many quotes regarding the link between knowledge and knowing. Socrates says, ”I know that I know nothing”. He says “I act inferior to every person I meet, that way I will learn something from them!” Talk about being humble and giving yourself every opportunity to learn. Imagine If you entered every conversation with an empty mind – no pre-conceived assumptions about the other person. You would walk away from every conversation learning a lot more than you knew before. So by having this “I know it all”, closed minded mentality you are stopping your personal growth and development. Instead, take a step back and leave your ego at home because you can learn something from every person you meet. To conclude I want to leave you with one take away that you can implement in your own personal life. The next time you’re in a conversation and the other person starts telling you something you already know I want you to reply with three words – Tell me more.